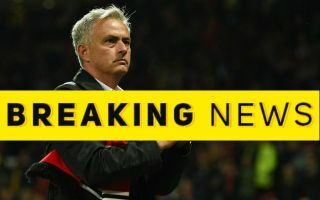 Former Manchester United manager Jose Mourinho is reportedly closing in on returning to Real Madrid to replace Santiago Solari. According to Goal, however, the Portuguese tactician is only expected to take charge of the side until the end of the season, when the club hope they could then hire Zinedine Zidane for a second time. Mourinho was previously at Real Madrid between 2010 and 2013, and won the La Liga title during his time at the Bernabeu. His first spell ended badly, however, as have his subsequent jobs with Chelsea and Manchester United. Hiring Mourinho again looks a bit of a risk for Madrid, though at this stage things have got so bad under Solari that they don’t have much to lose. It’s been all downhill for Los Blancos since Zidane left the club at the end of last season, so they’ll hope an experienced name like Mourinho can come in and steady the ship between now and May. Goal claim that Real would then hope to persuade Zidane to come back in the summer, in what would be quite a shock development as he clearly went out on such a high last time. Jose Mourinho heading back to Real Madrid? Zinedine Zidane to follow on from Jose Mourinho in the summer? The sale of Cristiano Ronaldo has not helped matters at Madrid, so it remains to be seen if their former boss would really want to take on what would now be a much harder job in the Spanish capital. Goal’s report also lists Germany manager Joachim Low as a contender for the job, with the club clearly in need of a change after this disastrous campaign that culminated in their Champions League elimination at the hands of Ajax this week.